Phototaxis, signifying movement of an organism towards or away from a source of light, is one of the most representative features for moths. It has recently been shown that one of the characteristics of moths has been the propensity to follow Lévy flights. Inspired by the phototaxis and Lévy flights of the moths, a new kind of metaheuristic algorithm, called moth search (MS) algorithm, is developed in the present work. In nature, moths are a family insects associated with butterflies belonging to the order Lepidoptera. In MS method, the best moth individual is viewed as the light source. Some moths that are close to the fittest one always display an inclination to fly around their own positions in the form of Lévy flights. On the contrary, due to phototaxis, the moths that are comparatively far from the fittest one will tend to fly towards the best one directly in a big step. These two features correspond to the processes of exploitation and exploration of any metaheuristic optimization method. The phototaxis and Lévy flights of the moths can be used to build up a general-purpose optimization method. 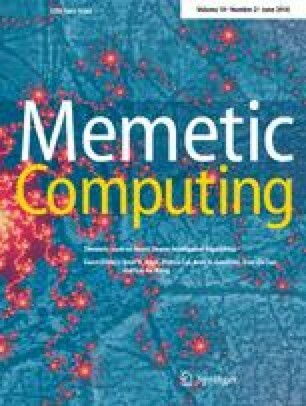 In order to demonstrate the superiority of its performance, the MS method is further compared with five other state-of-the-art metaheuristic optimization algorithms through an array of experiments on fourteen basic benchmarks, eleven IEEE CEC 2005 complicated benchmarks and seven IEEE CEC 2011 real world problems. The results clearly demonstrate that MS significantly outperforms five other methods on most test functions and engineering cases. This work was supported by Jiangsu Province Science Foundation for Youths (No. BK20150239) and National Natural Science Foundation of China (No. 61503165). The authors thanked Prof. Suash Deb and Prof. Leandro dos Santos Coelho’s help for improving language.